In July, when returning from my eight-day culinary road trip in Alberta, I flew home on Horizon Air from Calgary to Seattle. Seated next to me was a Canadian. So, how'd I know? Ah, maybe it was the way he pronounced certain words, or his friendly Canuck demeanor. Turns out it was Jared Leischner, a 25-year-old from Red Deer, Alberta. Obviously, he was flying to Seattle, since that was where our plane was going. 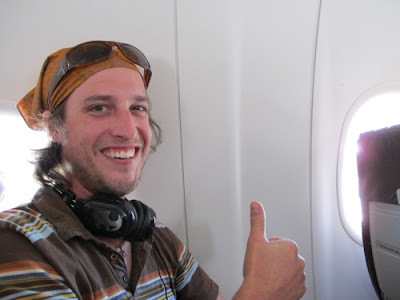 But from there he was continuing on to England, where on July 24, 2010 he and friends Bret Romanko and Chris Bibby were setting out from London on a 16,000km journey. As part of the 2010 Mongol Rally, they would be traveling in a 998ccNissan Micra east through Europe and Asia, "through terrain ranging from gridlock traffic to barren wastelands." The reason? Jared says on his website that the over-the-top trip "is in an effort to raise a boat load of money for charity and have the adventure of a lifetime." Calling their trio Team Genghis Khanada, they hope to reach the Mongolian finish line in one of the toughest adventure races known to man. There are 357 teams competing in the race. The two charities Team Genghis Khanada is raising money for are Mercy Corp Mongolia and the Christina Noble Children's Foundation. While Croatia is fairly stable today, the common sight of vacant homes riddled with bullet holes on the road to Zagreb emphasizes the recent conflict as the Croats forced the resident Serbs out of the country. We are currently awaiting a commercial ferry to Russia in Trabzon, Turkey. One team left on a boat last but waiting for three days inside the fenced customs compound. We should have better luck though, no doubt. Blogs should be up when we get to Russia...and they will be grrrrreat! You can follow the teams with Live Tracking on the 2010 Mongol Rally 2010 website. Oh, I asked him if his mom was nervous back home in Red Deer. Well, you know the answer to that. I reassured him that was our job. Good luck, guys!